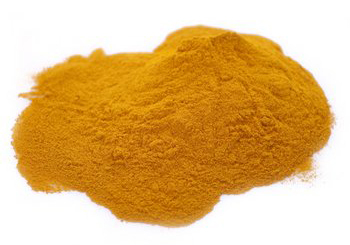 Several reports have demonstrated, however, that the plasma concentrations of curcumin in people taking relatively high oral doses of this compound are very low, typically in the nanomolar range. For instance, a recent study examined the pharmacokinetics of a curcumin preparation in 12 healthy human volunteers 0.25–72 hr after an oral dose of 10 or 12 g. Using a high-performance liquid chromatography assay with a limit of detection of 50 ng mL1, only 1 subject had detectable free curcumin at any of the time points assayed. This strategy, however, should be used cautiously, as piperine is a potent inhibitor of drug metabolism and may cause toxicity in people taking specific drugs. In addition, it is important to note that any strategy that increases the levels of curcumin in tissues will not only increase the effectiveness of curcumin, but also its toxicity. A relatively high number of reports suggests that curcumin may cause toxicity under specific conditions. … Accumulating data have demonstrated since  that curcumin can induce DNA damage and chromosomal alterations both in vitro and in vivo at concentrations similar to those reported to exert beneficial effect. … These reports raise concern about curcumin safety, as the induction of DNA alterations is a common event in carcinogenesis. Low concentrations of curcumin induce antioxidant effects, higher concentrations of this compound increase the cellular levels of ROS (reactive oxygen species). Curcumin was recently found to be an active iron chelator in vivo and to induce a state of overt iron deficiency anemia in mice fed with diets poor in iron. Curcumin has also been shown to inhibit the activity of the drug-metabolizing enzymes cytochrome P450, glutathione-S-transferase, and UDP-glucuronosyltransferase. The inhibition of these enzymes in people taking curcumin may lead to an undesired increase in the plasma concentrations of some drugs and cause toxicity. This dose of curcumin is similar to that recommended by the World Heath Organization, but ~10 times lower than that generally recommended by suppliers of curcumin supplements. It is unfortunate that curcumin is regarded in the scientific literature as efficient and safe when its efficiency and safety have not yet been proven. This entry was posted in Uncategorized on November 13, 2015 by Bix. So is it alright to spice food with turmeric? I like to add it to my rice and bean concoction I make. I think using turmeric as a spice is great. You don’t have the concerns you have with the concentrated curcumin form, and you probably still have benefit. From my reading, powdered ginger has similar benefits. I put both of them in a curried lentil dish I make.